Ward Wins by TKO in RD9 after the corner throw’s in the towel. Andre Ward defeated Paul Smith with a stoppage this saturday night in Oakland’s Oracle Arena. Paul Smith was no match to Wards superior boxing abilities and offered little in return. After he suffered a cut above eye there was only going to be one result afterwards. Stoppage followed soon after as Ward finally starts his comeback to the ring. 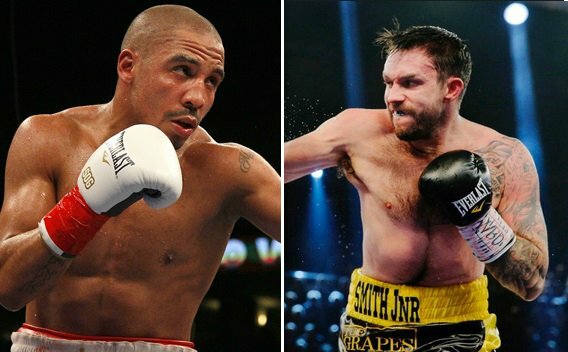 Andre Ward will finally be making his comeback to the ring when he takes on Paul Smith of Liverpool, England, Ward has only fought twice since 2011 and his last fight was back in november 2013 which was followed a promotional issue which lead to Ward being sidelined for over 2 years now. Andre Ward joined Jay Z’s Roc Nation promotions and his first assignments is pretty much a tune up fight scheduled for 20th June 2015 in Oakland’s Oracle Arena but it will be televised on BET channel in united states, HBO passed out the opportunity to get the rights for the fight because its just another tune up although they do have a contract with Andre Ward to broadcast his fights. Paul Smith is native Liverpool fighter from England and 35 year old has passed his best days, coming off from two back to back defeats in the hands of Arthur Abraham. Paul Smith is a former British and European champions and although there is huge class difference between the two fights, we should remember that Andre Ward is making a comeback after best part of 2 years and this is something Paul Smith can really exploit. Andre Wards last fight was against Edwin Rodriquez which turned out to be a very one sided affair back in november 2013. The fight is also suppose to be streamed live on Tidel.com which is a music and video streaming site owned by Jay Z. Of course you need to get the subscription for the Tidel. While SkySports has the exclusive rights for the fight in United Kingdom.